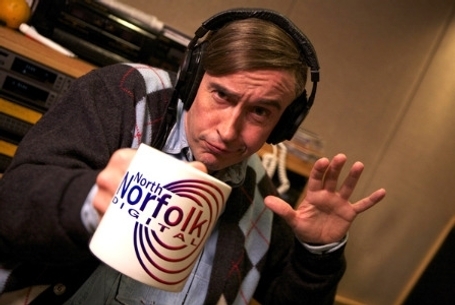 Steve Coogan’s character “Alan Partridge” may not be the longest-running comic creation of all time, but I bet he’s up there for crossing the most genres. He was born on the BBC4 comedic radio program On The Hour, moved into the ensemble of television news spoof The Day Today, then took on his own (fake) chat show, Knowing Me Knowing You in 1995. 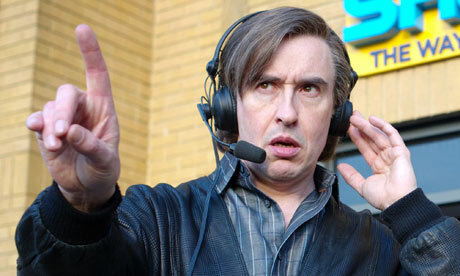 In 1997, and again in 2002, he was the centre of a one-camera half-hour sitcom, I’m Alan Partridge. In 2010 he returned in a series of webisodes called Mid Morning Matters and in 2012 there was an hour-long mockumentary / travelogue called Welcome to the Places of My Life. All of these are worth checking out. Indeed, they’re bloody hilarious, and Alan Partridge, for me and millions of others, is one of the great comic creations, played by one of the great comedic actors. He’s way too intricate to be described pithily, but it’s safe to say he’s now in his mid-fifties and remains parochial, conservative, extremely “British”, self-important but insecure, arrogant and occasionally aggressive but not without at least some sense of decency and respect for others. There are media personalities all over the world just like him, including more than a few in Australia. Finally, Alan has his own movie, and it’s a cracker. For those who know and love the character there are cascading torrents of joy to be had, but even if you’ve never heard of Mr. Partridge, this movie packs a bucketload of laughs (I know, because I asked a couple of fellow critics who were not of the Alan club on the way out of the screening I attended, and they had a blast). 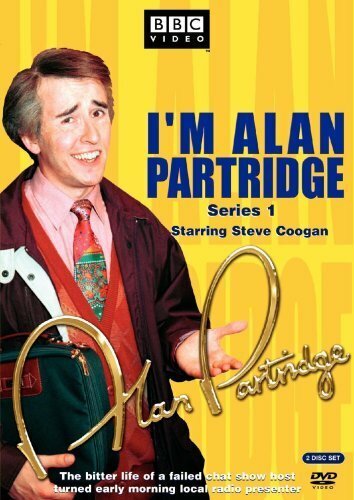 There were a few ways that could have been gone with a proper, big-screen Alan Partridge feature film. Divorced and commitment-shy, we could have been treated to an Alan Partridge rom-com, where he finally finds true love, or at least the Partridge version of such a thing. We could have had a workplace conflict, with Partridge’s old-fashioned ways coming into conflict with new trends, styles or management. Or we could have Partridge thrown into a completely different genre, such as an action movie. With great bounty for us, we are given all three, although the emphasis is mostly on the latter. While facing new management and a restructuring at Partridge’s radio station, North Norfolk Digital, a redundant employee returns with a gun and causes a siege, complete with cops and crowds (and there are many quick sight gags referencing Dog Day Afternoon). Alan is caught in the thick of it, being, in a perfect example of the character’s inevitable predicaments, both the gunman’s only trusted spokesperson and the Judas who got him fired in the first place. 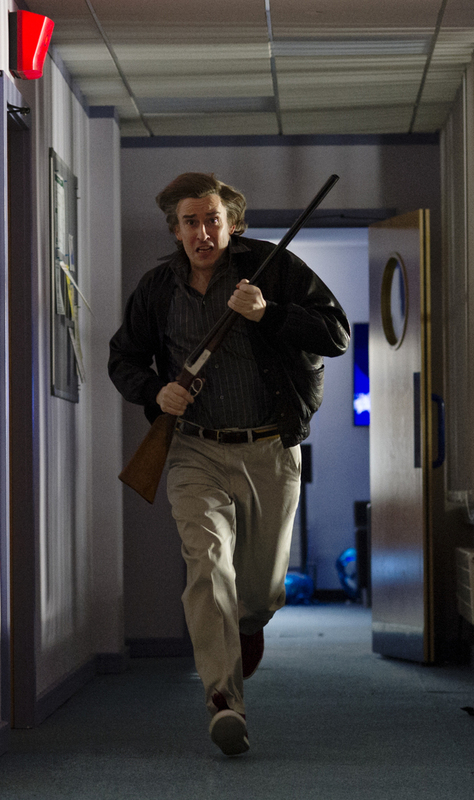 Along with This Is The End, there are way, way more laughs-out-loud per minute in Alan Partridge: Alpha Papa than any film I’ve seen thus far this year. Coogan is not only at the top of his game, he knows this character beyond intimately, and gives a consummate performance. Many characters and actors from previous Partridge incarnations show up and there are many nods to the entire back story, but you can go in a complete novice and have a great time. I wouldn’t, though: if I were you, I’d bone up on as much Partridge as you can, while still making sure you catch this delightful film at the cinema, preferably with a large audience. You’ll be surrounded by a lot of hearty laughter, and emerge very happy indeed.